1. Please explain your daily role at Lili Pouce. Lili Pouce creates and manufactures unique decorations items and gifts for children. 2. How did you arrive at Lili Pouce? Lili Pouce brand and its site were created in 2007. Sophie, waiting for the birth of her little girl Maud, imagines a line of decorative stickers chambre bébé fille to create wonderful atmosphere in the children's room. Lili Pouce becomes then the children's atmosphere creator. Since then, the range has expanded and Lili Pouce offers a complete collection of decorative items to create a complete ambience in harmony with the furniture of the room. Lili Pouce wants to go beyond the ordinary range of children items offering more choices of personalized decoration as well as more personalized gifts that children’s parents and friends will not find in any other shop. Lili Pouce wants to stand out from other market players who offer a "standardized offer." The board is represented by the brand mark that accompanies parents in their decision making and is able to make customized items. Lili Pouce offers deco coaching online to realize a decoration that takes into account the room and the needs of the particular child. Children's fashion, decoration trends and the demands of all parents is the source of our inspiration. We listen to the needs of our customers. Lili Pouce is a human-sized company that constantly innovates in the sphere of children items by launching several trendy collections. The brand has many articles on its website. Lili Pouce offers a wide range of decorations items creating a whole universe of different themes comprising many decorative accessories. At the same time Lili Pouce makes it possible to enter this incredible world of decoration having a reasonable budget. Accessorising has become the way to customize decoration at low cost but especially to bring the decoration up to date making it easily modifiable at each stage of the life of children. No more baby room at the age of 15 years. Lili Pouce also offers a set of unique articles that are customizable basing on the name of your child. We offer the following products: decoration line (wall decor with chalkboard, stickers and wallpaper), bed linen and cushions, rugs, baby mobiles, applique chambre bébé, lamps, light garlands and a personalized gifts line for birth, baptizing or birthday. 90% of the products are customizable. We sell mainly in France but also in the whole world. 10. Who are Lili Pouce clients? Mainly, young mothers who want to create nice baby room atmosphere but also parents of young children. 11.When did you put your first website online? 12. How important is the website in generating contacts for Lili Pouce? 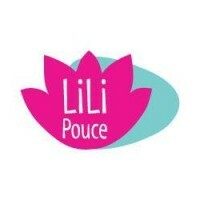 The website plays an important role for Lili Pouce since it has become the meeting point for parents and friends who wish to offer the best for their children but especially who are looking for unique creative items.